Little Baby Lily the Llama is sitting in a field of grass and straw! 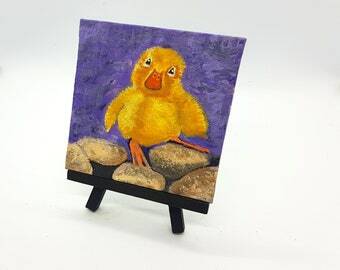 Miniature acrylic painting for a baby nursery or child's room. 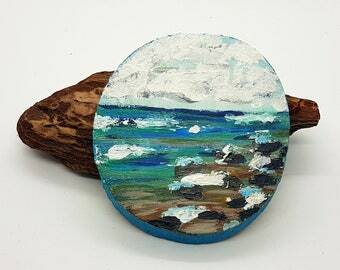 Measures 4 x 4 inches round (10 x 10 cm) Ready to ship now! This listing is shown in the first few photos - all other photos are different paintings available separately...thank you! Easter gift idea! 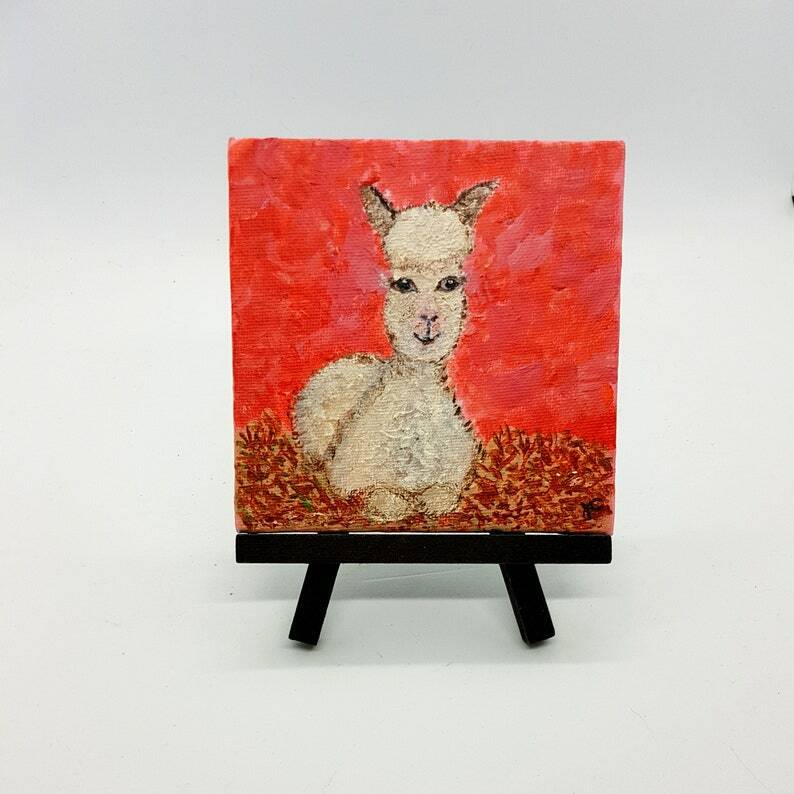 This Miniature art painting is of a lovely baby Llama. 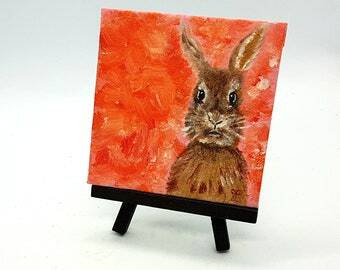 He has been painted in an slightly impressionistic style. I have used a background of bright oranges and coral. The Llama is slightly off white and brown with gorgeous big eyes and fluffy fur. 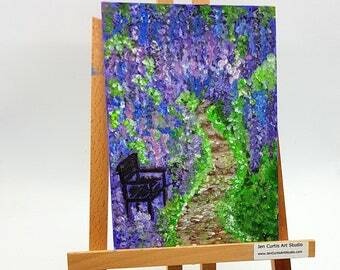 his listing is for the art only but you will have the option to purchase the black easel shown in photo 1. Please choose that option from the drop down box! 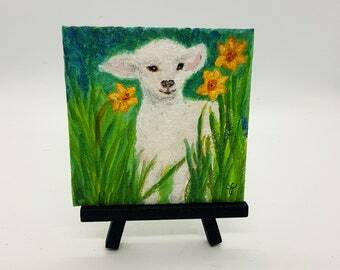 This hand painted miniature art would make a lovely gift for a new baby or children's room. See a mock up of a frame with four of my children's mini art pieces! Order multiple of these pieces and receive 10% back as a refund after purchase! Or, contact me for more information! 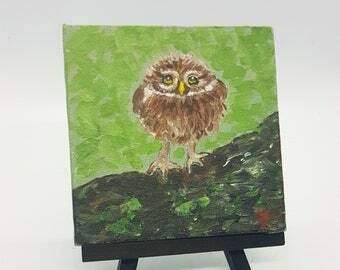 ~My Tiny acrylic art paintings are all hand painted. 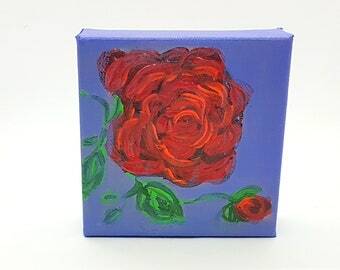 ~I use acrylic paints on canvas! ~Each piece has my initials on the front.